Despite what old-timers will tell you, it’s not all about instincts – or the resilience of the human spirit. Sometimes it’s a matter of wrapping your fingers around a big wad of tachnological advances and letting ‘er rip. And nothing puts more technology in your fishy hands than the newly re-engineered Legend Xtreme. Right down to the St. Croix -designed grip, these 29 insanely sensititve models are handcrafted with high-modulus/high-strain SC graphite with a carbon-matte scrim and reinforced with super-high modulus SC graphite for added weight reduction. Our TET (Taper Enhancement Technology) blank design improves sensitivity. Add in ART, TET and FRS and shazzam, you’re ready to rip lips. 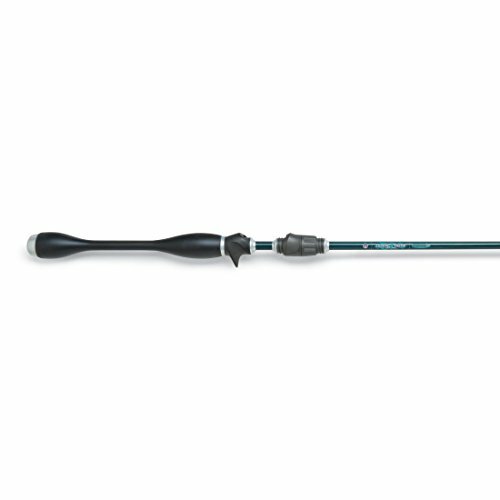 New Xtreme-Skin handle repels water, dirt, and fish slime and cleans up easily. It dries extremely fast when it gets wet. Manufactured by St. Croix to provide outstanding angler comfort, casting efficiency and sensitivity.